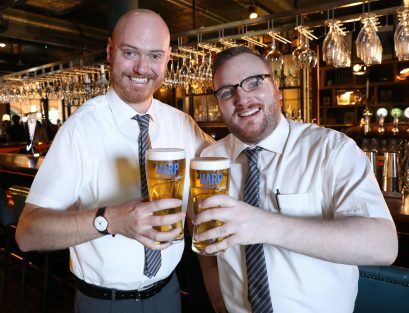 HARP looks set to build on its position as one of Northern Ireland’s leading lagers with the launch of ‘Pure Here’, a brand new creative campaign that celebrates the distinctive people, places, sense of humour and idiosyncrasies that make up Northern Ireland. 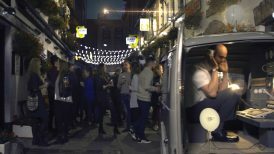 The ‘Pure Here’ TV advert launches tonight, in primetime slots on UTV and Channel 4, and is the first new TV ad from the leading lager brand in three years. The ad opens with the Harp Angel posing the question: ‘What would it take to create a new beer with the true essence of Northern Ireland?’ and sees two Harp brewers scaling the breadth of the country on a madcap journey, taking in legendary landmarks such as The Giant’s Causeway, The Harland and Wolff cranes, and Belfast’s Cathedral and Linen Quarters to add the best bits of Northern Irish culture to a glass. 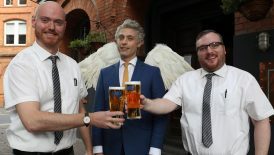 Local Northern Irish acting talent make up the starring cast and bring to life the nation’s distinctive sense of humour, with Alan Turkington as The Harp Angel and comedy duo Roger Thomson and rising star Micky Bartlett, who has featured on NI comedy shows such as The Blame Game, as the Harp brewers. Viewers might even spot a cameo from local influencers such as James from social media sensation Real Trance Family. 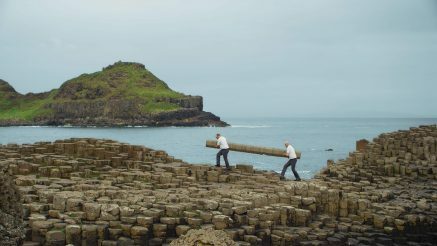 The ‘Pure Here’ campaign will tell uniquely Northern Irish stories – stories with humour and bite – in a brand befitting tongue-in-cheek way across TV, cinema and online channels. 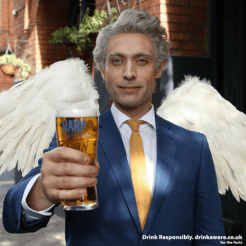 The campaign is a testament to the on-going commitment to strengthen HARP’s position as one of Northern Ireland’s leading lagers. 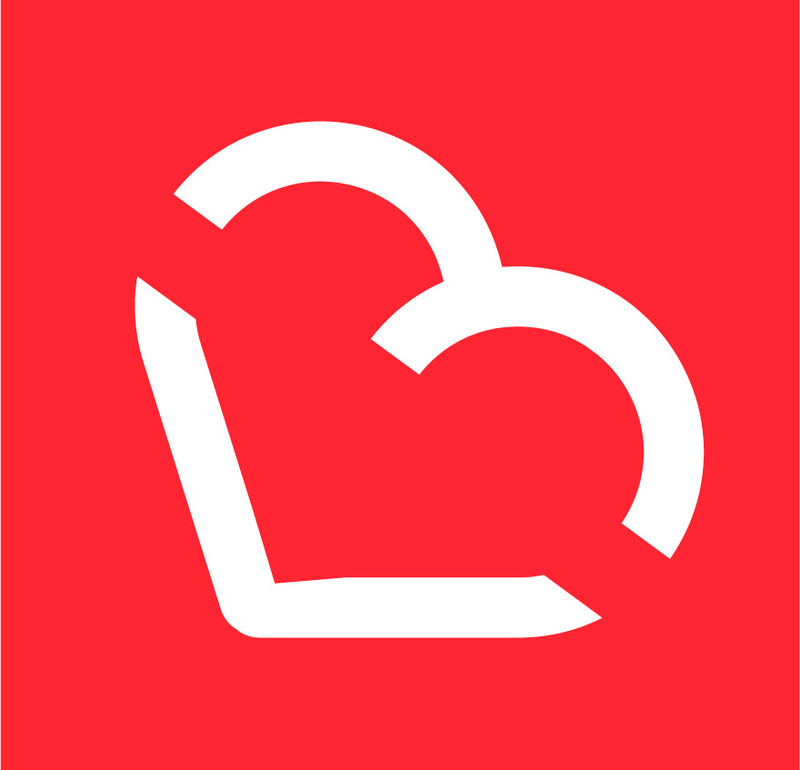 Jeanette Levis, Brand Manager for HARP, said: “‘Pure Here’ is an iconic campaign for HARP, and sees the brand celebrate its place in Northern Ireland culture in a bold way, championing the people and locations that make this small but brilliant place what it is. With ‘Pure Here’ we want to bring to life the unique humour and spirit of Northern Ireland, and at the same time pay tribute to HARP’s much-loved status here. The ongoing ‘Pure Here’ campaign will see HARP continuing to work with local talent and consumers to define and champion the best of Northern Ireland. To find out more about HARP and ‘Pure Here’ visit www.facebook.com/Harp. Coors Light Makes Dream Holiday a Reality for Lucky NI Bar Staff!